Sharing documents that contain sensitive, personal information, can be risky. Varying levels of identity theft can result if your documents aren’t properly protected. Print the documents, or copy the files onto portable media (CD or flash drive), and send by Postal Mail or hand deliver. Upload the document files to a secure cloud service (dropbox, etc), email a link to the files, and remove the files from the cloud immediately after they’re downloaded. Note that anyone with access to the link, can download the files as long as they’re available on the cloud service. Securely encrypt the files and email them. Share the decryption password via telephone. 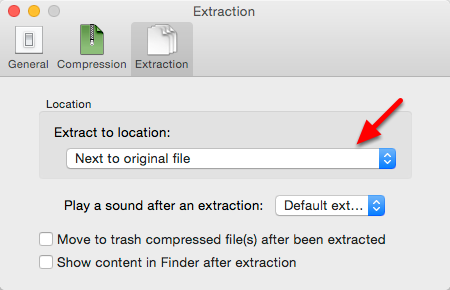 OS X has compression (zip) software built into the Finder and, with a bit of effort, can be used to encrypt files. Unfortunately, the encryption is relatively weak and it’s hard to do. 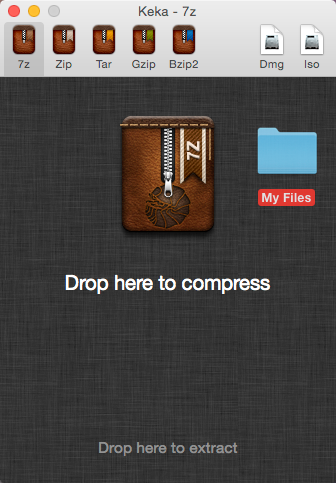 If your goal is to email files that aren’t sensitive, the built-in compression (no encryption) is the way to go. It makes the files smaller more reliable to email. When sending more than one file, it’s best to copy them to a folder and compress the folder. Continue reading for help with method 3: Securely Encrypting Files. From the Apple App store, $2. From the Keka web site as donation-ware. You can use it for free but a donation would be nice. If the download doesn’t automatically open, find it in your Downloads folder and double-click it. Drag the Keka app to your Applications folder. 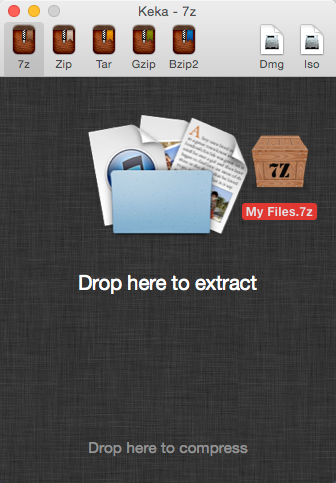 Here you can change where your encrypted file will end up. The same saving options are available for extracting (decrypting) files. Select 7z (for AES 256 bit encryption). Method selects the amount of compression. Enter a password for the upcoming encryption. Twice. 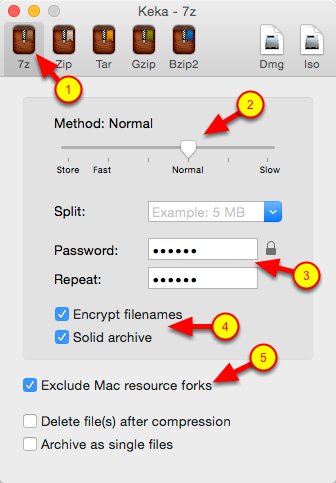 Assuming that you’re encrypting only document files (not applications) check Exclude Mac resource forks. If the recipient of your files is a Mac user, it’s optional. Want to learn more about resource forks? Or even more? 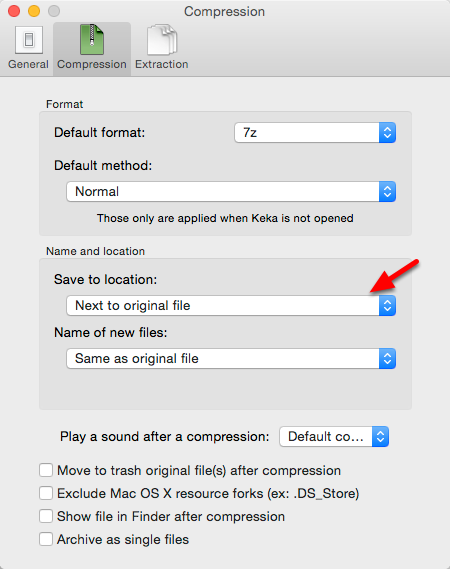 Drag your folder (or file) onto the Keka window and drop it. The encrypted result will be created at the location you’ve selected. Note: The Keka window doesn’t appear as above until you drag a folder to it. To test your encryption, simply drag it onto the Keka window. You’ll be asked for the password and the decryption will commence. Here’s the information you requested to process my loan. The file is encrypted using the 7z format. Please call me at 132-456-7890 to get the password. Keka for Mac OS X. Simply drop the 7z file onto the Keka window.